Beechwood smoked premium pork loin. Great taste 2016. Born & bred, farmed & fed - East Anglia. 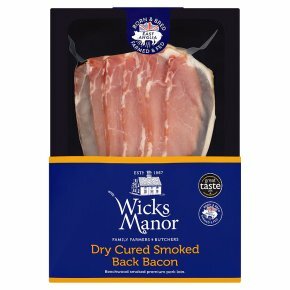 Smoked & dry cured on the farm.This tasty smoked back bacon is dry cured by hand and smoked over beechwood chippings in our farm smokehouse and butchery for a truly delicious, succulent flavour.